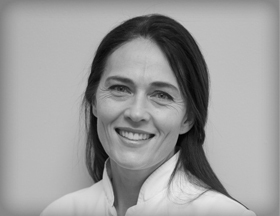 Ame had been a very valuable member of the Team since 1999. she believes that only the best is good enough and provides an excellent level of personalised service to all her patients. Through her calm and professional approach she has helped many of her nervous patients to overcome their dental phobia. She has done extensive post graduate training in all aspects of dentistry and provides dental treatment for the whole family. Ame has a special interest in Cosmetic Orthodontics with 6 month smile and Invisalign and also Anti-snoring and Sleep Apnea.